The month started with our annual trip to Bauman Farms. I thought maybe the kids were getting a bit too old, but as Megan said, "Mom, it's family tradition! And it'll be good quality family time." Well, no deny her logic. We had lots of fun on a beautiful fall day and for the first time ever, we attended te giant pumpkin drop. 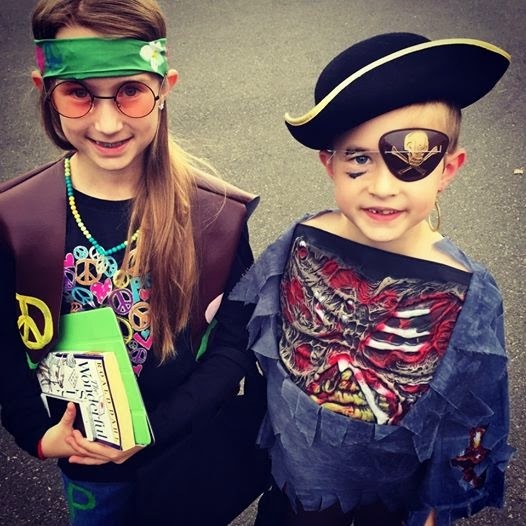 For Halloween, Megan was a hippie and Liam was a zombie pirate, because it is not enough to just be a zombie OR a pirate. 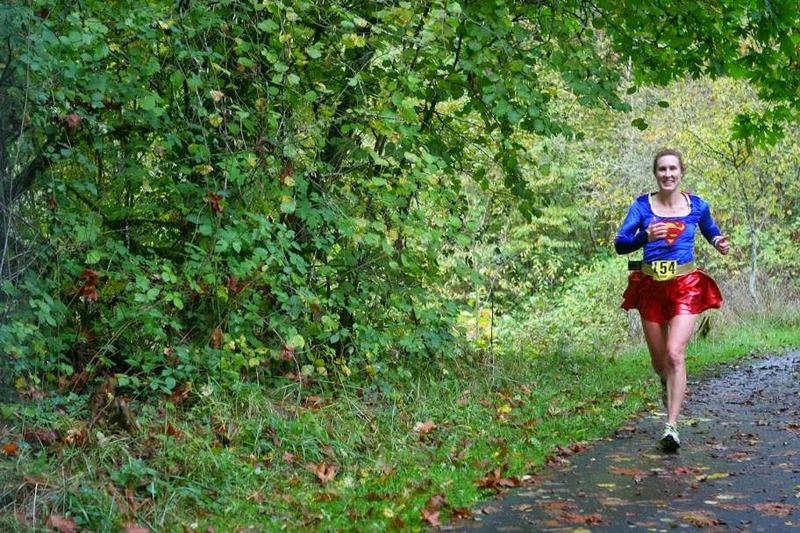 And I donned Supergirl garb for the Autumn Leaves 50K. Happy Halloween! One wants Peace, the other wants to eat your brains!